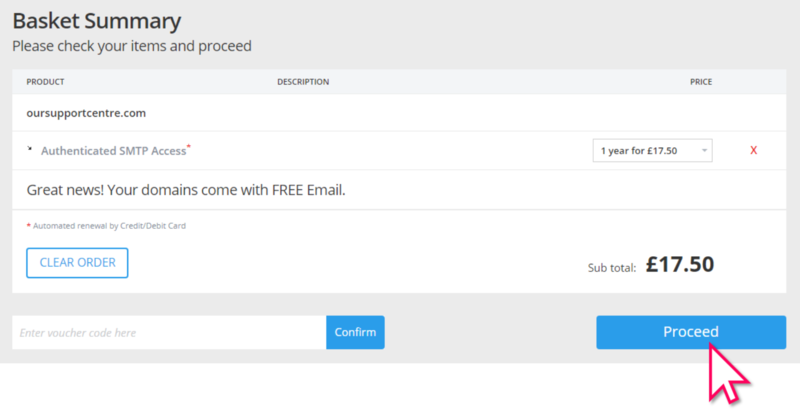 You can activate our Authenticated SMTP service from within your Control Panel. If you are unsure what our Authenticated SMTP service does, check out this helpful guide! Quick note, Authenticated SMTP is purchased per domain and will cover all email addresses for that domain. Firstly, login to your Control Panel. If you're not too sure how to do this, please see this handy guide. Now that you're logged in, click on your domain name from the Control Panel Home page. On the next page, click on Activate next to Auth SMTP. This will add the Authenticated SMTP package to your cart. 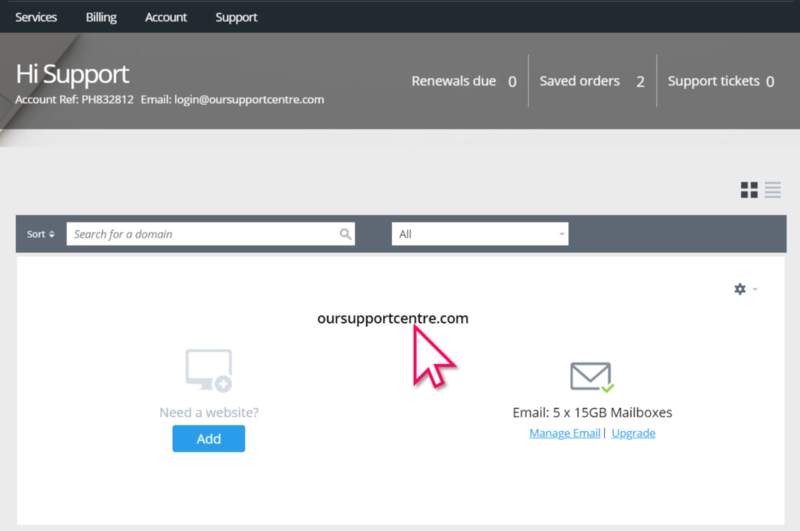 Click Proceed and complete the cart process to activate the Authenticated SMTP service! Congratulations, you have now activated Authenticated SMTP for your domain name, and can add your email account to your devices with the help of our guides!